Does a lack of confidence stop you from embracing new opportunities or speaking your truth? Have you ever wanted to create a change, make a career move, or become a more authentic leader, but didn’t quite know where to start? Do you ever feel like you just don’t have the energy and grit to pursue your dreams? Or perhaps you’re a leader or coach looking for tested ways to help women succeed? Lead Like A Woman guides women to see more of who they really are, and get more of what they truly want. Based on the award-winning leadership development program of the same name, this journey uncovers the stories that hold women back, and gives them the evidence-based roadmap for creating the careers and lives they long for. From seeking more confidence, to building a personal brand, leveraging mentors and sponsors, and creating vibrant wellbeing, this book is the permission slip women have been waiting for. This book provides the missing guidance for leaders who want to create long-awaited breakthroughs for women at work.Brilliantly researched, passionately written, and enjoyable to read, Lead Like A Woman is the guidebook that will create both a personal and workplace revolution in how women live and lead. How to update your mindset and leverage your feminine traits so you can fully step into your power. How you can learn from the latest research in positive psychology, neuroscience, gender science, leadership development, and wellbeing to see more of who you really are, and get more of what you truly want. Real stories of how to joyfully succeed in a male-dominated world. Coaching playsheets you can use to immediately take action on what you’re reading. Inspiring and energising. 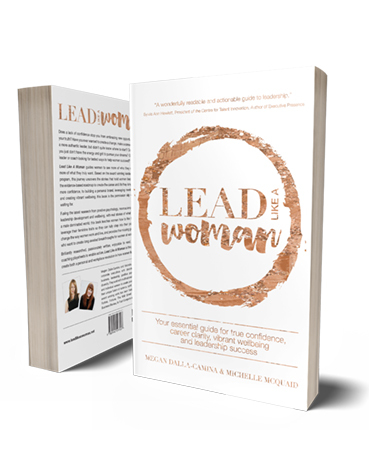 This book will help female leaders create a positive pathway forward for themselves and those they lead. Great insights into how your mindset can turn even the most challenging situations into opportunities. Too often, the phrase that include 'like a girl' is pejorative, as in 'He runs like a girl.' This powerful new book shows how leadership at its best involves women bringing their confidence, grit, compassion and strengths so that every workplace and situation is better for it, and we can hear the positive phrase, 'He leads like a woman!